This topic introduces SSH configuration for apps in your Swisscom Application Cloud deployment. Note: If you have mutual TLS between Gorouter and app containers, app containers accept incoming communication only from the Gorouter. This disables cf ssh. Operator Entire deployment Configure the deployment to allow or prohibit SSH access (one-time). For more information, see Configuring SSH Access for Cloud Foundry. 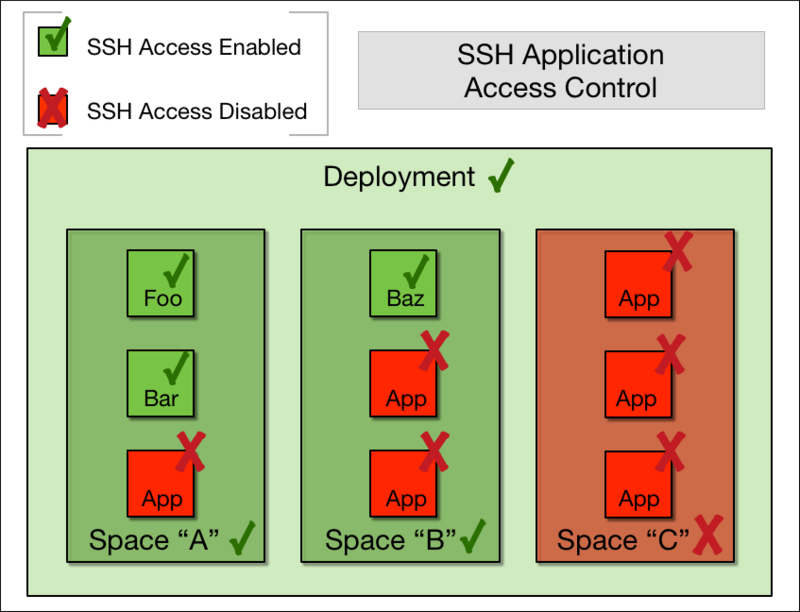 Cloud Foundry deployments control SSH access to apps at the Cloud Foundry level. Additionally, Cloud Foundry supports load balancing of SSH sessions. The Configuring SSH Access topic describes how to set SSH access for your deployment.